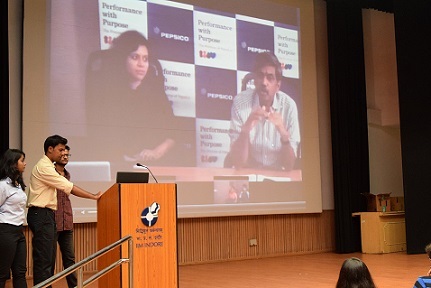 Dr. D. Shivakumar, Chief Executive Officer, PepsiCo interacted with IIM Indore students on July 16, 2016. 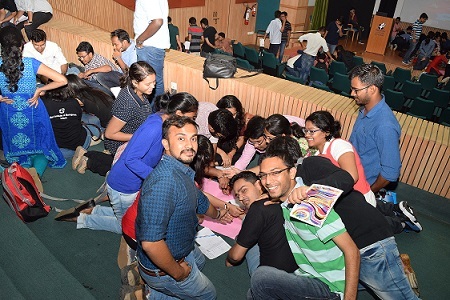 He interacted with the young management minds via his candid webinar with an attempt to gear first year students up, for their formal entry into the management world. IIM Indore’s alumni Tushar Rathi, who is the current employee of PepsiCo Ltd. was also present on this occasion. 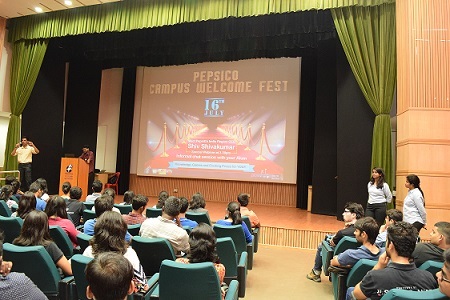 He gave a brief introduction about PepsiCo and answered a few queries the students had about management roles & responsibilities and B-school life. After this brief session, the students were joined by the CEO on a webinar, who took them through a history of management education & its scope and penetration in the Indian scenario. Dr. Shivakumar held a very honest and realistic stance about the status of management education. ‘Even though there is no dearth of B-Schools in India, only 25% of all B-School graduates are actually employable’ he said. He discussed that MBA is a width degree, not a depth degree, which offers various courses over the two-year time and one should choose courses according to passion. It is a degree and not a guarantee. He also discussed about what one should expect from a management programme. He encouraged the students to learn as much as possible from the professors, yet have a life outside books as well, keeping a focussed vision on their passion and career. Dr. Shivakumar gave a few tips and tricks on how to succeed in being in top one fourth of this division, focussing on student-teacher relationships, tapping the plethora of opportunities at B-schools and also on creating a lasting impression through one’s resume. This was followed by a Q&A session where students put forth their queries. The webinar was followed by a group activity to give students an insight into the marketing world, pertaining to the FMCG industry. The alumni concluded the session by giving pointers on how to crack the hard nut of marketing.